You probably are already aware how great Twitter is for delivering real-time updates to fans and followers. 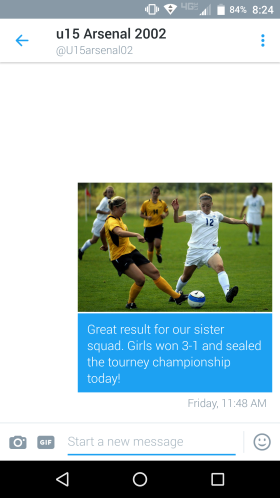 If you haven’t already read our blog post on why your youth sports team’s Twitter account needs to be setup with GroupTweet – then check that out here. 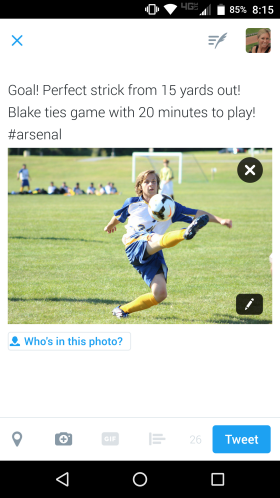 Bottom line, keeping a Twitter account up to date with real-time content is hard work for one person, so GroupTweet allows any number of parents, coaches, players, and fans to all help send Tweets from your Team’s Twitter account. Ready to get started? Just follow the steps below! You might already have a Twitter account created for your team – if so, go ahead and skip to step #2! If not, you will need to visit Twitter.com to create one. If you are already logged in to Twitter.com with your personal account you will need to logout and then click the “sign up” link on Twitter.com. When you sign up, Twitter might tell you your email address is already taken. If you have a Gmail account, then you can use this trick found on our blog. On the next page, click the “Connect with Twitter” button. This launches a Twitter Authorization window (seen below). 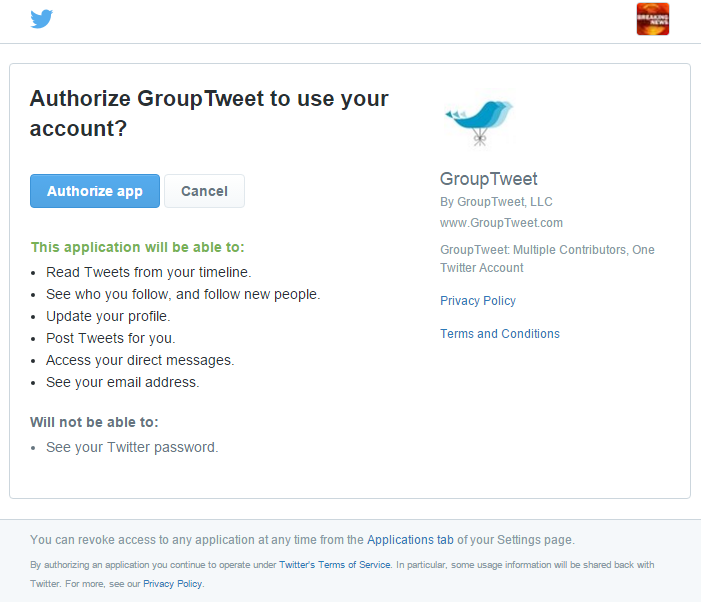 On this step you want to make sure to authorize GroupTweet to work with your team’s Twitter account i.e. the one you wish to allow multiple contributors to Tweet from (not your personal account). You might have to logout of your personal account first and then sign into the group account. The logo in the top right tells you which of your accounts you are authorizing with GroupTweet. Go ahead and add your email address and click the “Continue” button. 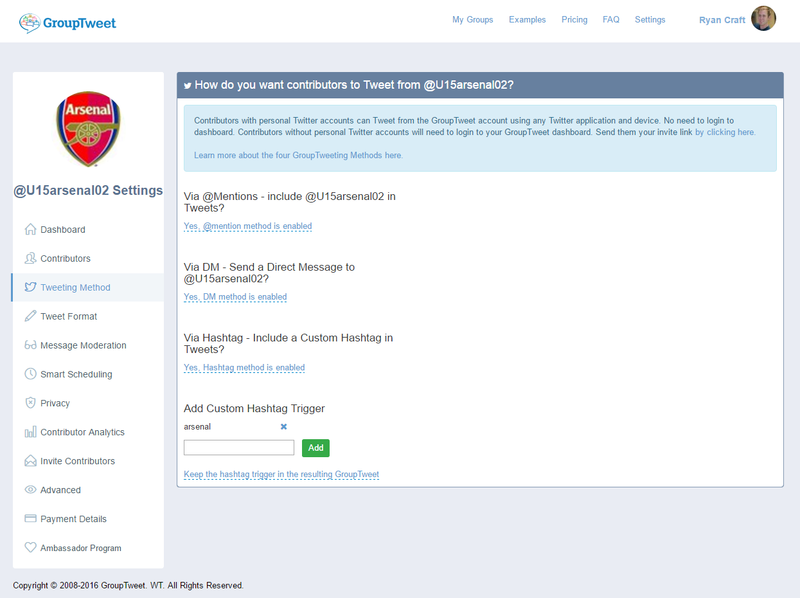 On the next step of the wizard you will have the option to either add your first contributors (we recommend adding your own personal Twitter account to test things out) or skipping the wizard and proceeding to the GroupTweet dashboard. Since you are reading this blog post, you can go ahead and click the “Skip Guided setup” link under the continue button to proceed to the dashboard. Now you see your team’s GroupTweet dashboard (as pictured below). To test things out we recommend adding your personal Twitter account as a contributor. Go ahead and click the blue “Add Contributors button” in the left sidebar. 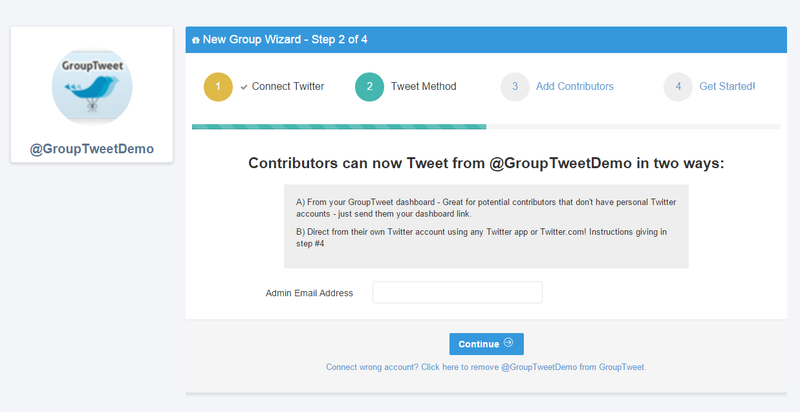 After clicking the add contributors button you are taking to the GroupTweet settings menu. As you can see below, I’ve already added myself as a contributor (@craft_ryan) as well as my colleague @themoevans. If you have too many contributors to list or you don’t know their Twitter usernames, you can simply send them your group’s invite link and they can register as contributors by clicking your link and logging into GroupTweet with their own personal Twitter account (or e-mail address). If you list their Twitter usernames, this will save them time since they won’t have to register with GroupTweet. Adding contributors through GroupTweet allows them to Tweet from your team’s Twitter account without ever needing to know your account password! Once added, contributors can either login to your GroupTweet dashboard or send Tweets directly from their personal Twitter accounts. The Dashboard is simple. 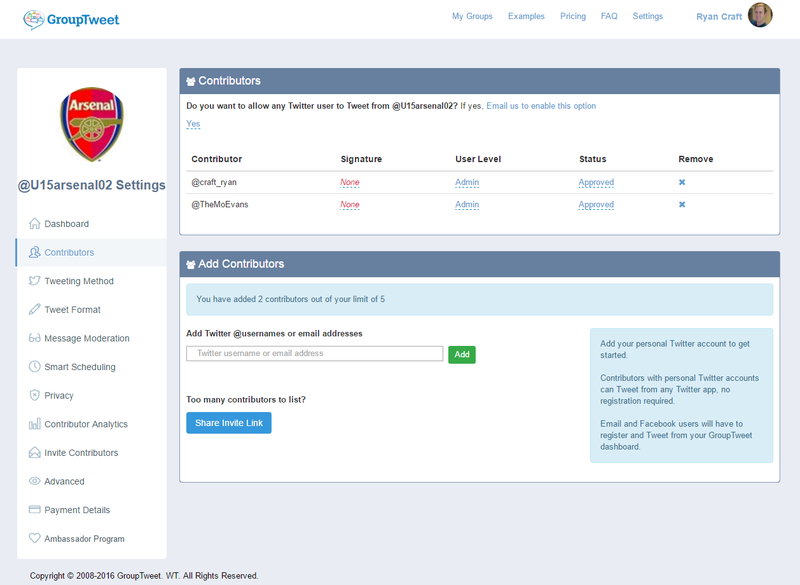 You send desired contributors your GroupTweet invite link and they register and login to the GroupTweet dashboard with either their personal Twitter account or Email address. 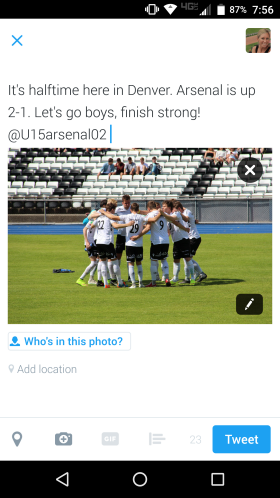 Parents or coaches without personal Twitter accounts will have to use your team’s GroupTweet dashboard. 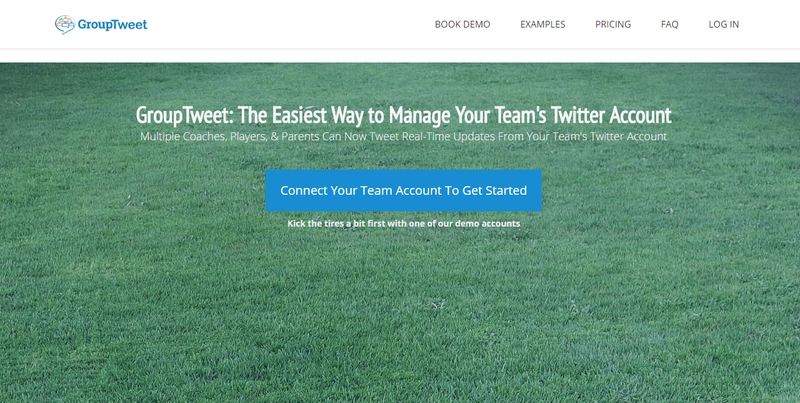 Your team’s GroupTweet dashboard is optimized for both computer and phone screens. Contributors can even create a shortcut on their phone home screen so it works like a regular app. This is where the real magic happens! 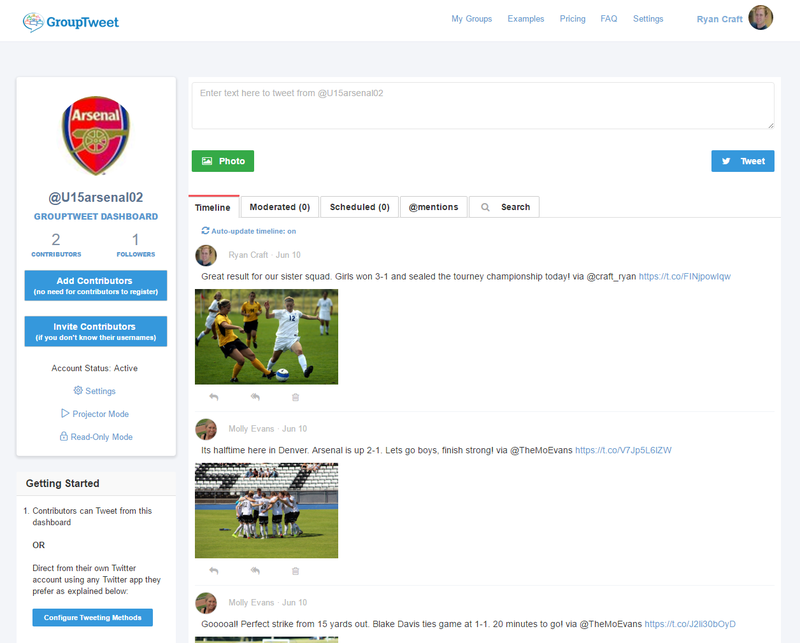 Contributors can Tweet from your team account directly from their own personal Twitter accounts. No need to even login to the dashboard. Contributors love it, because it requires little to no change in behavior. Contributors can use whichever Twitter application each of them prefers whether that is Twitter for iPhone, Android, Twitter.com, or Tweetbot. In the screenshot below, you can see there are three Remote GroupTweeting Options available. You can enable any, all, or none of these options. Hashtag GroupTweeting is great, because you can choose any hashtag(s) you want for your team. If your coaches or parents are already using hashtags for your team, there is literally no changed behavior required. This is a great way to organize and curate all of your contributor’s Tweets under a single Twitter account. The Direct Message (“DM”) method is great for parents or coaches that want their children’s sports related Tweets to only appear as coming from their Team account and not also their personal account. These simple steps will make you a groupTweet pro in no time. GroupTweet is a very flexible and powerful platform that can be used in a number of different ways (such as entirely via Text Message if desired), so if you have any questions just leave us a comment or email us! 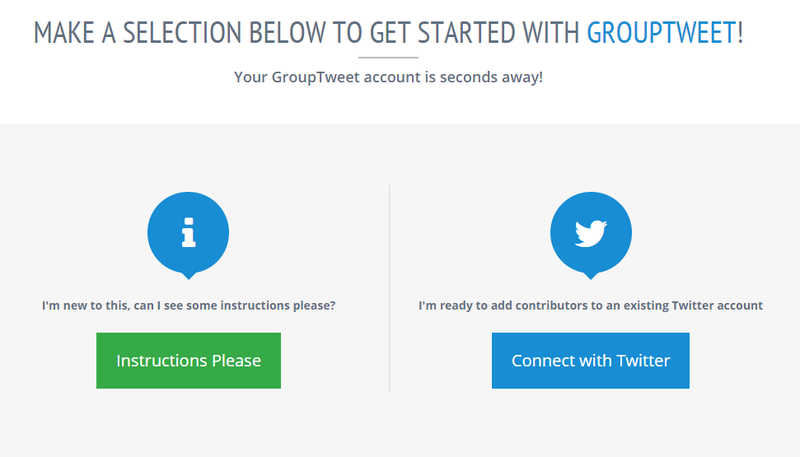 If you haven’t already connected your sports team’s Twitter account with GroupTweet, what are you waiting for? Go ahead and navigate over to GroupTweet and get started!